Discussion in 'TV & Media' started by Assembled18, Jan 18, 2019. Which vigilante films is better? I love Jack Reacher!!! That movie got me into the books and oh boy I was surprised to learn Reacher wasn't 5'5 but 6'5, blonde hair and blue eyes. As for the movie, I thought the thriller had compelling characters, and the story was very interesting, this was a return to form for Tom Cruise adapting a character to bring in some strong dialogue and collaborating with some other fine talents like Rosamund Pike, Robert Duvall, David Oyelowo, and Werner Hertzog. The choreography was in your face blunt, the fights felt painful, and I love the car chase sequence. Really fun. The movie always grabs my attention when it airs on TV; I think I'm gonna tell my BF to purchase this film on 4k, I'm surprise we don't have it in our library. As someone who started with the books, I utterly disagree. Tom Cruise as Jack Reacher is an affront to the character, and only possible because Cruise basically bribed the author. How is voting for the Equalizer any different??? As far as I know Denzel Washington isn't British, nor was he Caucasian; how was Washington more of fit than Tom Cruise was for his character??? At least in Reacher the character's race was right. The fact that all they got was Reacher's race right is the difference. Cruise's smaller and slighter build means he has a different fighting style than the book character and is nowhere near as intimidating. On the flip side, the difference in the race and nationality between the tv and movie Equaliizers is secondary to what the movie character got right, which is the attitde, the skill and the professionalism. Denzel's Equalizer took all the important traits of Edward Woodwards, so the narrative is the same. Tom Cruise playing him changes the Reacher narrative...for the worse. Cruise ruined it.. he is the exact opposite of Reacher, kinda comparing a Rottweiler with a chihuahua..
Washinghton was able to give his character what it needed. I’m a massive fan of the Reacher books. But obviously while Tom is nothing in the least like book Reacher, the first JR movie is a pretty decent thriller in its own right. I remember the Edward Woodward TV show from the 1980s but wasn’t really a fan (didn’t hate it either, I was just indifferent to it). Given that lots of people liked to speculate that the original McCall was Woodward’s Callan character using a pseudonym, I thought that they might cast another actor from the UK or Ireland with that sort of baggage - Dalton, Brosnan or Neeson. So I was surprised that they cast Denzel. 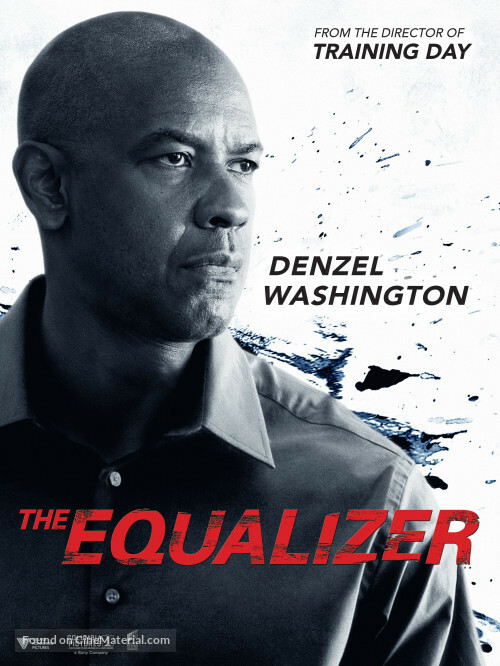 The Equalizer movie IMHO was another example of a film being elevated by Washington’s presence. It’s slow to get going but his charisma really holds it together, the way the 3 actors I named above couldn’t do. So I vote for it over Reacher. If the original McCall is actually Callan, I like to think that Denzel’s take is actually his character from Man on Fire from an alternate timeline! Haven’t seen Equalizer 2 but the second Reacher film is snoozeville. Neither movie was that great, but The Equalizer wins by a mile. Jack Reacher SUCKED; it was boring--a mortal sin for any action film. Cruise phoned in the performance and the script was a veritable "Mad Libs" for lame actions flicks. Equalizer had at least a likable, relatively believable character, thanks to Washington's far more nuanced performance. Jack Reacher lost me in the very beginning of the movie with Reacher's line, "There's a bus station 3 miles away, I can walk there in 24 minutes." I run three miles five days out of every week. 24 minutes for 3 miles is 7.5 mph per mile, and no way is that a walk, no matter who you are (even the uber-heroic Jack Reacher). I know it's a small thing, but it bothered me a lot. I hate stupid mistakes like that in movies. On the other hand, Robert Duvall was having a great time in this movie, and that was fun to watch. But in the end I voted Equalizer.